A Shropshire exhibition, featuring work by some of the art world’s leading international names, has been extended due to popular demand. The show of modern British and American pop art was launched at The Soden Collection in Shrewsbury at the end of June for six weeks but will now run until the end of August. Three limited edition original lithographs by L S Lowry, one of the most famous modern day UK artists, have been added in to the exhibition, together by work from Tracey Emin. Other leading names included are Lucian Freud, David Hockney, Francis Bacon and Sir Terry Frost. 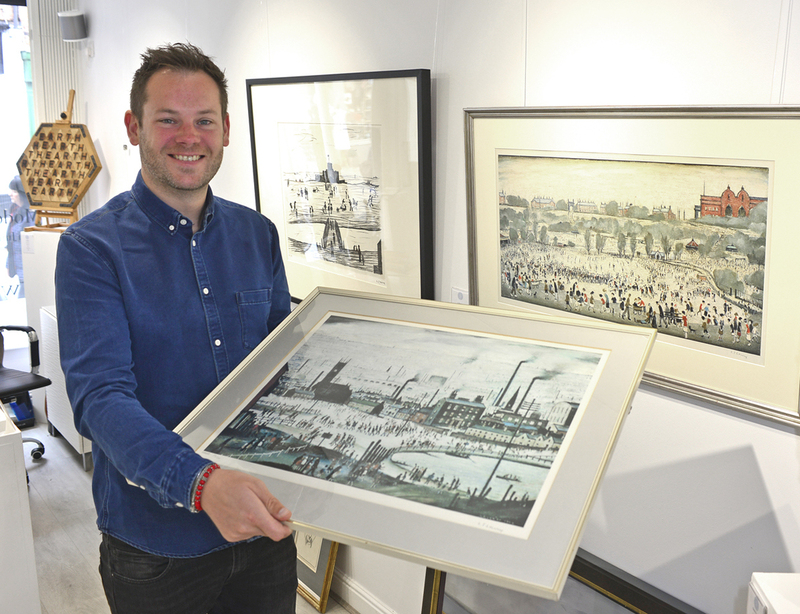 “This ‘showstopper’ exhibition focusing on modern British and American pop art has proved extremely popular,” explained Jonathan Soden, who opened the gallery in Wyle Cop last year. “It is the first event of its kind in the Midlands and we have attracted visitors from across the country who will want to see these museum-quality lithographs and etchings by some of the world’s leading artists of the 20th and 21st century. “This is a huge deal – London has a few commercial venues specialising in these artists but these works very rarely make it outside of the capital – so we are extending its run to the end of August,” Jonathan explained. Prices for the pieces on sale range from £250 up to several thousands of pounds for the most exclusive works. The exhibition fills the two main gallery rooms and sculpture courtyard at The Soden Collection.